You know how, when you’re just beginning something—the beginning of a phone call, the start of a meeting, the first time you meet someone—you might start talking too fast, right at first? You’re a teensy bit nervous, maybe, or you want to make sure to get to the important stuff, so everything comes out a little rushed. And then you realize what you’re doing, so you take a breath and you slow down. The holidays can be kind of like that, I think. We don’t mean to, but we let things get moving too fast. We try to cram in all the important stuff. We think we know how things are “supposed” to be, we don’t want to disappoint anyone, and anyway everything sounds so fun and sparkly, we might as well do it all! So we try, until all the things that were supposed to be merry are just a blur and we’re dizzy and need to sit down and breathe into a paper bag a minute. So how DO you bring holiday magic into your life without going a little crazy? I think you can’t add “holiday joy” on top of everything else in your life, as though it’s just one more task to cross off your to-do list. I think you have to open up some space for it first. What if you spent some time today thinking about what you’ll need this season? How will you stay grounded and present? What would that look like? What would you need to let go of? If your month is packed with EVERYTHING, you can’t really enjoy ANYTHING. You need a little time to savor and breathe and just be present, right where you are. And if you happen to be parenting AND holidaying–okay, well, then you NEED EXTRA time for getting centered, but you GET LESS. 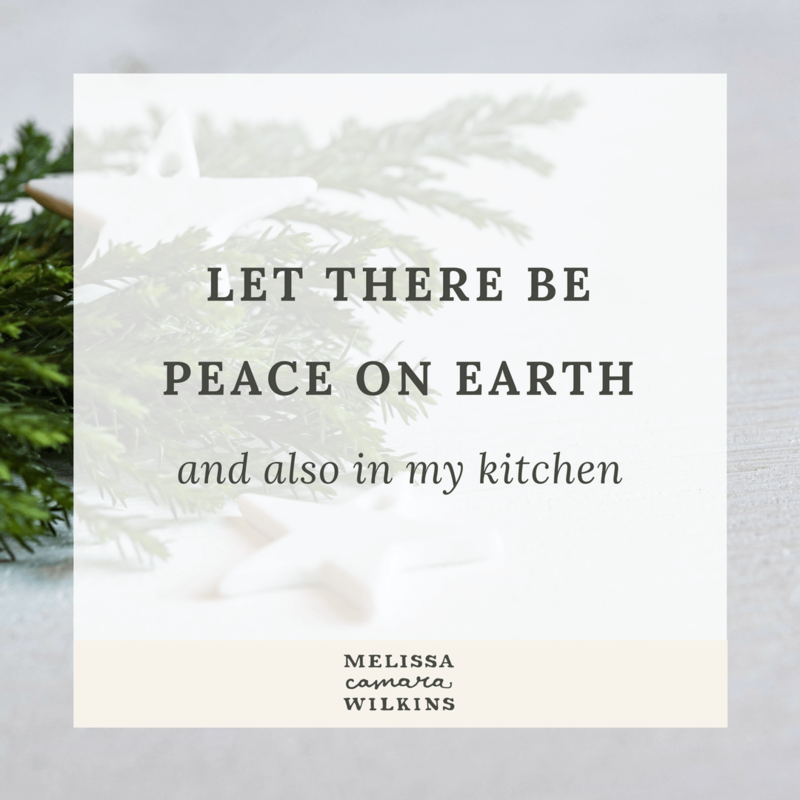 You have to look even harder for things to let go of to make room for your holiday sanity. 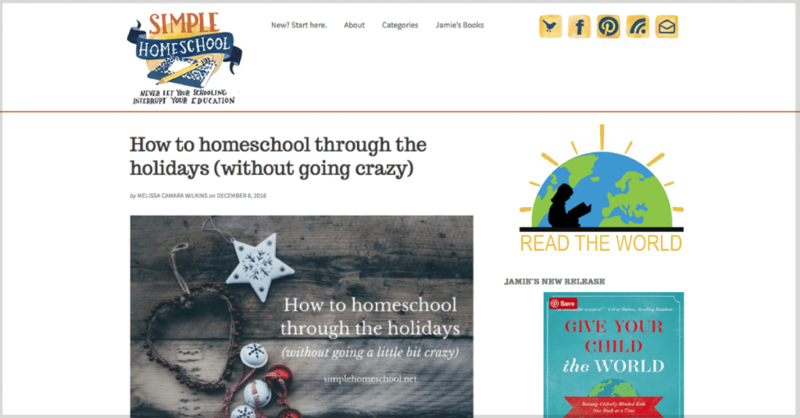 That’s what we’re talking about over at Simple Homeschool this week. I really believe the secret to doing it all is that you don’t. You don’t even try. I’m pretty sure that’s how to keep things merry-and-not-miserable, too: you don’t do it all. You do LESS. We’re not going to do all the things. We’re not even going to PRETEND to do all the things. We’re going to do the things that are best for our own families, and we’re going to let go of the rest. Find out how at Simple Homeschool. P.S. – Facebook Live Video!